You’re reading novel The Demonic King Chases His Wife: The Rebellious Good-for-Nothing Miss Chapter 515-516 online at LightNovelFree.com. Please use the follow button to get notification about the latest chapter next time when you visit LightNovelFree.com. Use F11 button to read novel in full-screen(PC only). Drop by anytime you want to read free – fast – latest novel. It’s great if you could leave a comment, share your opinion about the new chapters, new novel with others on the internet. We’ll do our best to bring you the finest, latest novel everyday. Enjoy! Now, Su Qing’s complexion had become extremely ugly! But also, faintly, she had a kind of awfully bad premonition. This kind of feeling was similar to that day when the panther had gone crazy, and sent the entire Su Manor into turmoil and wrecking it. After seeing the Lindworm heavily fall on the ground and creating a giant hole, the little divine dragon was still unsatisfied. One could only see his lovable chin arrogantly raised, little paw pointed at the Lindworm, as if getting angry, but also grumbling something for some time that humans could not understand. The Lindworm’s body shuddered with extreme alarm. With great difficulty, it climbed out from that deep hole. Immediately after, it got so frightened that its claws became unstable and with a ‘bang’ sound, it fell back down again. That clumsy appearance, it looked extremely hapless and wretched. When that mouthful of continuously long-lasting dragon breath puffed out, Su Luo immediately wanted to cover her face. She had a deep understanding of the little divine dragon, this guy’s favorite thing to do was to spit out flames. Now that he had been infuriated to this extent, he definitely wanted to shoot fire. But the unfortunate thing was……. He was not as capable as his strong desires, what element he would puff out, he himself simply could not control it. Just like an infant, unable to control when he would p.o.o.p and pee. Presently, one could only see a water arrow spraying towards the face of the LIndworm, until its entire body and head was sprayed with water. The little divine dragon looked at his own masterpiece and was immediately stunned silly, momentarily, he stood there blankly. His huge, clear, limpid, monochrome eyes were full of bewilderment, not knowing how to deal with the aftermath…Clearly, he had wanted to spit out fire! Within the dragon race, fire represented anger, water represented appeas.e.m.e.nt. The little divine dragon originally wanted to use fire to punish, but he carelessly sprayed out water …. The little divine dragon suddenly felt like crying, he turned around and charged into Su Luo’s embrace, his little b.u.t.t twisting this way and turning that way. He seemed very upset, extremely embarra.s.sed, and was also feeling very wronged. He was at a loss, not knowing what to do. Everyone below the stage, including the three esteemed judges, and also Su Qing, were unwaveringly staring at the little puppy whose little b.u.t.tocks kept twisting and turning. This ………….. what was going on? Was it that the world had changed too fast? Or had they become entirely outdated? Since when had a little puppy’s strength unexpectedly become more capable than a Landworm? What the f*ck! The little puppy simply didn’t even need to attack. He only needed to stand on his master’s shoulder, gesture with his little paw, point randomly, his little mouth roaring out loud for a time, then that matchless Lindworm just automatically dropped down? However, they still hadn’t finished releasing their emotions. After the Lindworm’s entire body was sprayed with water, its anxious and frightened state changed. One could only see him take a leap and fly out of the deep hole. “Xiaoxiao —— GO!” Su Qing’s heart stopped feeling discouraged. Seeing the Lindworm jump out, she immediately commanded in a loud voice for it to quickly go up and tear Su Luo apart. But, the originally obedient Lindworm didn’t even take notice of her, instead tremblingly and tottering, it walked over to Su Luo, its eyes filled with matchless respect. “Go! Go! Xiaoxiao, quickly bite her to death!” The uneasy feeling in Su Qing’s heart’s increased in intensity. She concentrated all of her intent in her brain, using her mental spiritual strength to loudly command the Lindworm. The Lindworm was jolted, its sober black eyes blurring for a split second. It shook its head, discovered that its mind was a bit heavy. It stared fixedly at Su Luo, its originally tranquil eyes slowly showing a vicious and ruthless expression once again, abnormally ferocious and murderous-looking. At this moment, the Lindworm’s two front claws dug into the ground, one after another, as if in the next moment, it would pounce towards Su Luo, tearing her to pieces. The Lindworm was now unable to distinguish between friend and foe, giving birth to a restraining fear in people’s heart. Su Luo’s eyes flashed a cold stare. Yet, before she could move, the little divine dragon had already discovered something fishy with the Lindworm. The little divine dragon was thoroughly enraged! This repulsive Lindworm was truly, extremely daring, daring to injure his little master! Scolded it and it still wouldn’t listen, after hearing his commands, and still wouldn’t do it! It simply was courting death! The little divine dragon was furious! One could only see him jump down from Su Luo’s arms, that little round ball of a mystical beast was like an arrow shooting towards that enormous Lindworm! Everyone was stupefied by this action, pairs after pairs of eyes, without exception, were staring at the little puppy. Their eyes were heated up like a searchlight! Could it be that the little puppy was going to curse at that Lindworm again? Could it be that those few sentences roared by the little puppy were an enchantment? Thinking up to here, everyone was staring at the little puppy more closely than before, concentrating all their attention, wis.h.i.+ng they could record every breath it made. The little divine dragon was completely unaware that he was being stared at by many people. One could only see his little round body landing directly on top of the Lindworm’s nose. Now, when comparing the little divine dragon’s body against the Lindworm’s, it was like the difference between an ant and an elephant! This was the reason why the little divine dragon jumped onto the Lindworm’s nose. Looking at this from far away, it appeared as if a single granule of black sesame seed was glued to the Lindworm’s nose. However, the single granule of black sesame seed-like little divine dragon, ruthlessly slapped towards the Lindworm’s face with his two sharp paws! The surging, slapping sounds came clearly from under the little divine dragon’s paws. What made everyone even more taken aback was that the Lindworm’s face was scratched nearly beyond recognition by the little divine dragon. However, it was a glutton for punishment, and still actually showed something similar to a smile. It docilely gazed at the little divine dragon, as if it was an old Nanny being slapped by the young master…. “Hiss——” Including those three highly-ranked elder judges, everyone fiercely inhaled a mouthful of cold air. Furthermore, there were some that even heavily rubbed their eyes, because everything that happened in front of their eyes completely overturned their world view from long ago. Everyone knew that the dragon race had always been violent, ruthless and tyrannical. Consequently, n.o.body dared to provoke their strong ego. Even though the Lindworm was at the extremity of the dragon race, at the furthest periphery, but in any case, it was also a dragon. Normally, it was awe-inspiring and mighty in all eight directions. But…but…but now, it was not faced with a dragon race, but rather, the most common little puppy! Its face was thoroughly scratched by the little puppy’s paws, unexpectedly, it still hadn’t resisted. It was neither angry nor violent. On the contrary, it was meekly, humbly and reverently crawling on the ground, allowing the little puppy to tyrannize it. Even to the extent of showing consideration for the little puppy’s round and short body, voluntarily lowering its head, moving its head closer to him, making it more convenient for the little puppy to beat it up. This allowed the little puppy to save some effort. This was simply…so petty and low, as though it was the dust on the ground. Could it be that all the dragon race lacked oppressive force? That all had the tendency to be oppressed? Su Qing knew it was not so. It was because this Lindworm had been raised within the Purple Sunflower sect, it had bitten no less than a hundred people that fed it. But this…In the end, for what reason? Aside from Su Luo, who knew the original form of the little puppy, n.o.body knew why, even Nangong Liuyun was also continuously making wild guesses. Su Qing firmly stared at that little puppy, her eyes exploded and shot out bloodthirsty rays of light. Her expression rightfully had a murderous aura that made others s.h.i.+ver with cold! There was definitely a problem with this little puppy! Just by him standing proudly and lovably on Su Luo’s shoulder and gesturing, it would finally result in the rebellion of her contract beasts that she had tamed with great difficulty. Not even mentioning how disastrous and damaging it was to her, she was also berated for a period by their venerable father. Now, it was again going to use that skill, wanting to incite the rebellion of the dragon that her teacher, with great difficulty, had helped her fight for. It was simply too hateful. No, she absolutely would not allow it! “I command you to go to h.e.l.l!” Immediately, Su Qing’s fury rose dramatically, both hands turning over and forming seals, as countless spirit force converged in the center of her palm. 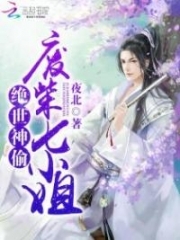 You're reading novel The Demonic King Chases His Wife: The Rebellious Good-for-Nothing Miss Chapter 515-516 online at LightNovelFree.com. You can use the follow function to bookmark your favorite novel ( Only for registered users ). If you find any errors ( broken links, can't load photos, etc.. ), Please let us know so we can fix it as soon as possible. And when you start a conversation or debate about a certain topic with other people, please do not offend them just because you don't like their opinions. You're reading The Demonic King Chases His Wife: The Rebellious Good-for-Nothing Miss Chapter 515-516. This novel has been translated by Updating. 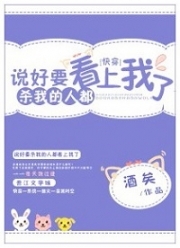 Author: Su Xiao Nuan,苏小暖 already has 12838 views. Current Time is Apr-19-2019 14:32:53 PM.